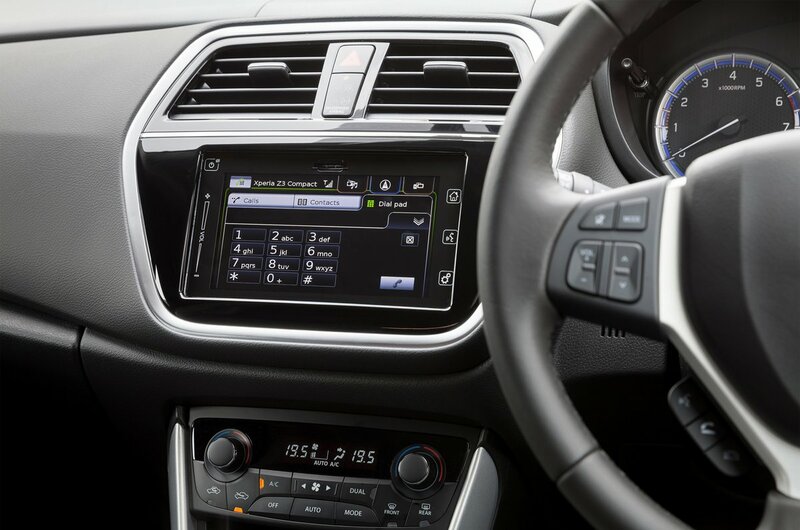 Suzuki SX4 S-Cross Boot Space, Size, Seats | What Car? Even very tall people will have enough room in the front seats of an SX4 S-Cross. There’s lots of head- and leg room, even on models with a panoramic sunroof. Both front doors have a pocket that’ll accept a 1.0-litre water bottle, and Suzuki has included a cupholder between the front seats. Between the driver and front passenger is a large cubbyhole with a flip-up armrest. Just in front of the gearlever is another large cubbyhole, perfect for storing things such as wallets, keys and mobile phones. There’s a decent amount of storage space in the S-Cross’s glovebox, too. , Although the front seats are set quite high, getting in and out of the S-Cross should present few problems thanks to wide, tall door apertures. The back seats are set higher than the front ones, so head room is a bit tight for adults, particularly in models with a panoramic sunroof. Children and teenagers will be fine. Fortunately, leg room is much more generous, as is shoulder room, and it’s no problem for two adults to sit comfortably. 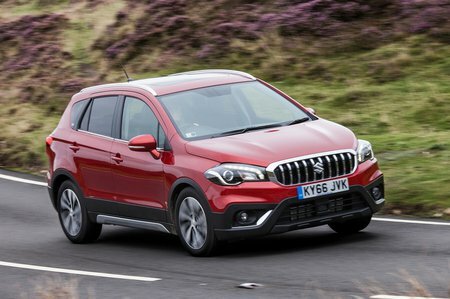 Three side-by-side passengers will be a squeeze, though, and the S-Cross has a pronounced floor for the middle passenger’s feet to straddle. Each door has a pocket but it’s not as easy to access, nor as deep, as those in the front. Like the front seats, the rears also have a centre armrest. There are two cupholders, as well. The back of the front passenger seat has a convenient map pocket. Again, the door apertures are reasonably wide, which makes it easy for passengers of any size to gain access to the rear. The rear seatbacks split in a 60/40 configuration and you can fold them down by pushing buttons next to the head restraints. This can be done quite easily with one hand, thanks to seat backrests that aren’t particularly heavy or stiff. In SZ-T cars and above, you can recline the rear seat backrests slightly for improved comfort. This handy feature is only offered on a handful of other small SUVs, such as the Mini Countryman. 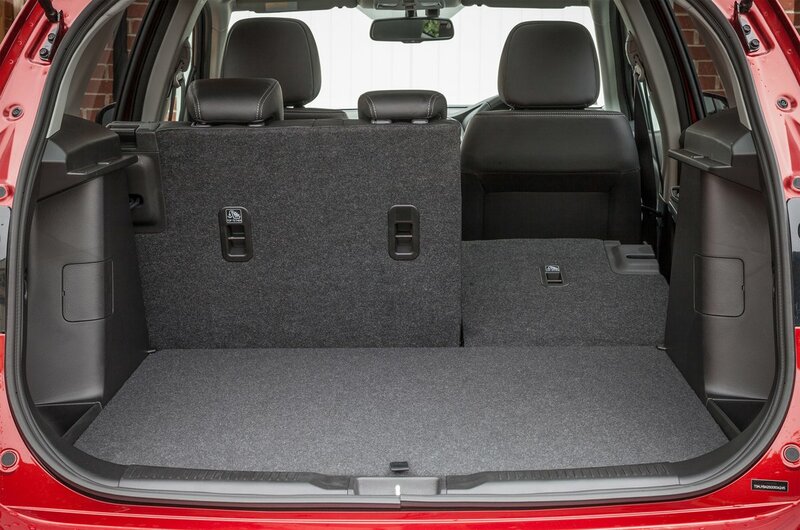 Boot space is generous in the SX4 S-Cross – in fact it’s on a par with the Nissan Qashqai’s. Not only is it roomy, but practical, too. Access is wide, the floor is low and the boot lip is flush with the floor, so heavy items don’t have to be lifted too far inside. It’s a square shape, too, with a deep cubby hole to either side. Lifting up the boot floor reveals more space beneath, which is perfect for storing valuable items and keeping them out of sight. On that subject, there’s a removable luggage cover, too. Other handy features include tie-down hooks and a luggage net.